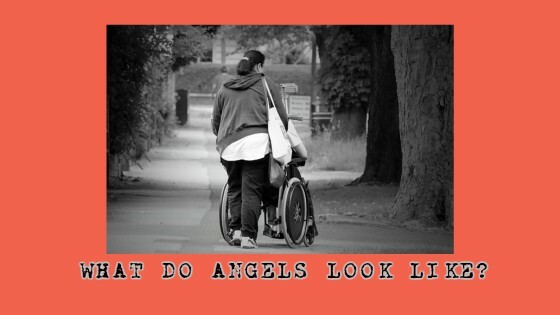 Have you ever asked yourself: ‘What do angels look like?’? Do you believe in angels at all? A few years ago, we experienced angels – earth angels – coming to help us. I’ve shared this story before but it bears telling again. When the #FridayReflections prompt this week asked us to describe a random act of kindness experienced, I knew I had to share this again. On a morning walk with Pablo, my husband had a fall – a dog came barking towards Pablo and he lunged and tripped Jose. As Jose lay flat in the middle of the road, trying to hold on to a large and frightened boxer, many people stopped to help. Some held the dog, some attempted to lift Jose, others helped him find his phone and call me. It was early in the morning and I rushed to get decent and ran down to take an autorickshaw (tuk-tuk) and went to Jose, my brain pretty frozen, naturally. I found people around him. They helped me decide to call our doctor, and assured me that they would wait with Jose, while I took the dog home. Most of them were there when I came back, and waited until the doctor came. As it turned out Jose needed a hip replacement surgery because of this. You can read about all the angels who came to our rescue and how we experienced their kindness here. Have you experienced being touched by angels? your posts are a breath of fresh air. If I am feeling low, I know where to go to fall in love with the life all over again. For these reasons, please allow me to nominate you for the Liebster award. Such a lovely story! It must have been scary to receive that call but the angels later, would have made it easier to manage. Thanks for sharing Corinne! Oh yes, your brain would be ‘pretty frozen’ when you get a call from strangers that your husband has fallen down to the road, while on his morning walk. If kindness were not there, connecting humanity, how would we have survived? Well written! Angels are everywhere, if only we stop searching them in all the wrong places. I agree those are angels who come around to help us just when we need them. The universe is watching us. I join you to send positive thoughts to all those unknown kind souls who came to your help that day.